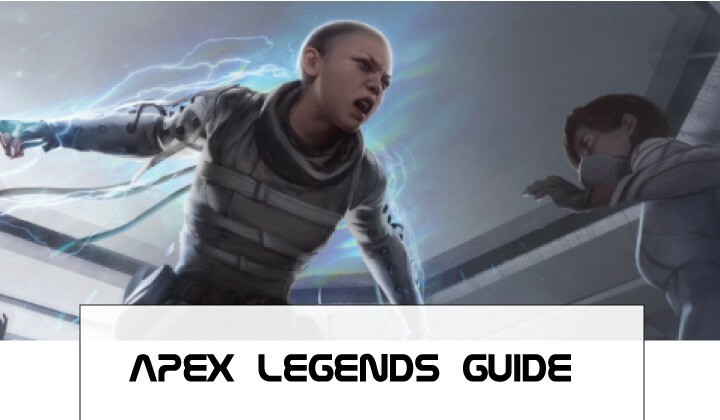 Welcome to our hello hero epic battle guide and tricks, in which we will teach you to have the most powerful heroes of the game and to get a lot of rewards. Everything in hello hero epic battle revolves around the heroes and their power. Although at first, the matches seem simple, they will get complicated. So you must make a solid team of heroes and make each member progress so that he is up to the fighting that is to come. Offensive: They have more damage or attack than the rest. But beware because there are two types, melee, and attack from a distance. Support: They have skills that improve or help the rest of the team. They can recover health, increase resistance, shield others, etc. First positions: For tanks or defensives are those that have more capacity to absorb damage, and the first positions receive more damage. Intermediate positions: For attackers, but ahead of those who have body to body and delays attack from a distance. At the end: The supports, so that they do not stop helping the team for dying too fast. Keep in mind the oddities and do not invest time and resources improving something other than Blue or Purple. Gold and diamonds: Buy the cards and heroes of payment in the store. How to improve heroes in hello hero epic battle? Up-level: Through the experience you get, both playing and with potions. Improving: With the Letters of Heroes that we have just explained to you. Equipment: Weapons, armor or accessories that equip your heroes will increase their power. You can get equipment in story mode, by playing, or by making it in the workshop. Then, you can improve the team with improvement powder, which is also achieved by playing the story. And finally, you can raise the level of the team with the essence of hardness, which is achieved by playing the story or dismantling equipment of lower quality. Gems: They are obtained by the expedition mode, there are several types and they will offer resistance to certain types of attacks. Like poison, lightning, fire or bleeding. Of course, you will have to link them with the piece of equipment with which they are compatible. To do this, look at the chip of the gem in question. Talent: By improving a hero you will receive talent points. Then you can invest in improving the attack, defense, health, etc. What is stargate in hello hero epic battle? Stargate mode or Door to the stars is the best way to farm improvement or manufacturing materials. Of course, you’ll have to wait for it to open up and send heroes. So you have to be aware of this game mode and its times. Who are tyrants in hello hero epic battle? They are the most powerful enemies, but also those who sleep the best rewards. To find them, click on the objects in the adventure mode screen. And as soon as you detect them, of course, go for them. 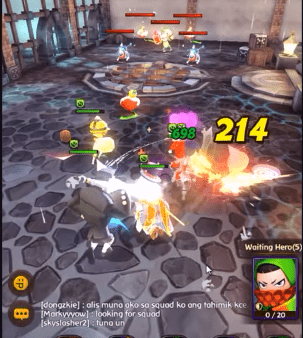 How to join a team in hello hero epic battle? You will access team wars and with the additional rewards. Mainly there is a lot of gold, but also many other rewards. 1- Get the free daily chests of each region. There are gold, materials, hero cards and also chests waiting for you. But you must look and complete the bars of each region. 2- Click on the objects with?. You will see them in adventure mode and they usually contain rewards in the form of diamonds, gold or also Hello Hero Epic Battleén energy tricks. 3- Master the workshop and manufacture. You can build experience potions, weapons, hardware, accessories, armor. So it’s just where you have to go after farming in Stargate or the Tyrants. 4- By using Jump in time you will complete missions instantly. You will consume the object of jump in time and energy, but you will get all the rewards instantly, without playing. 5- Check the available events and the remaining time. They are also full of rewards, but you should check them every time you play. How to play hello hero epic battle on pc? 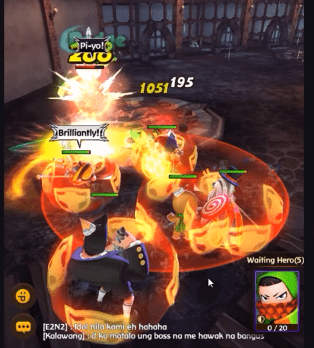 How to level up fast in hello hero epic battle? You can up your level in hello hero epic battle Apk game by reading our full hello hero epic battle guide. Or you can watch video for the complete level up guide.